PAC-12 will host the first conference wide College Sports Sustainability Summit. It will take place on June 27th 2017 in Sacramento, California. This event is part of the annual Green Sports Alliance Summit. The College Sports Sustainability Summit is part of the White House Office of Science and Technology Policy's (OSTP) call to action to tackle climate through sports. This event is supported by member universities that have pledged to take a leadership position in promoting sustainability through sports. The mission of this event is to influence conferences and universities around the country. This summit will convene sustainability officers from across the conference to design new collective initiatives and share best practices to transform college sports into a platform for environmental progress. The pledge was part of a larger push to use sports to address climate change. Earlier this year, the OSTP put out a call to action to capture new commitments and actions that leagues, teams, and organizations were taking in the climate space. Today’s announcement by the OSTP featured the Pac-12’s commitment along with other organizations’ pledges to minimize the environmental impact of their footprint and increase their response to counter the impact of climate change. As part of the Pac-12’s pledge, Pac-12 Networks will also continue to shine a light on meaningful sustainability initiatives across the Conference. Previous programming on Pac-12 Networks highlighted the Green Sports Alliance’s Zero Waste Challenge on Pac-12 campuses. 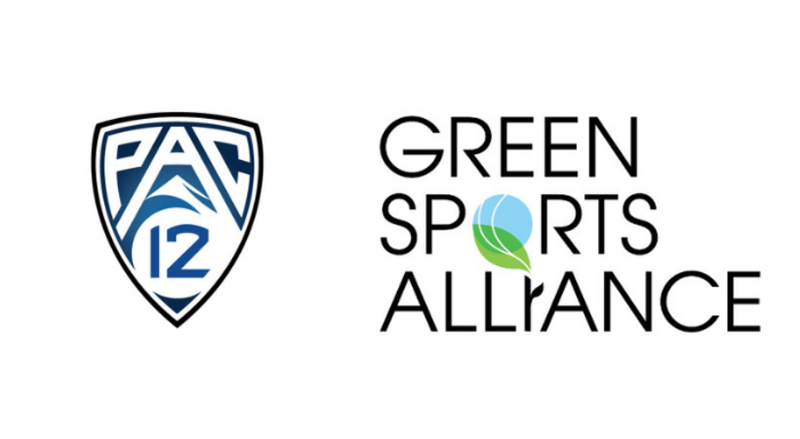 In 2015, the Pac-12 joined the Green Sports Alliance, following the lead of the conference’s 12 institutions, which were already members of the Alliance. The Pac-12 was the first collegiate sports conference to count all its members as Alliance participants. About the Pac-12 Conference: Recognized as the 'Conference of Champions' for its unequaled NCAA Cohampionships, the Pac-12 Conference comprises the 12 leading universities located in the Western United States: The University of Arizona, Arizona State University, the University of California-Berkeley, the University of California at Los Angeles (UCLA), the University of Colorado, the University of Oregon, Oregon State University, Stanford University, the University of Southern California, the University of Utah, the University of Washington and Washington State University. For more information on the Conference’s programs, member institutions, and Commissioner Larry Scott. About the Green Sports Alliance: The Green Sports Alliance leverages the cultural and market influence of sports to promote healthy, sustainable communities where we live and play. The nonprofit does so by inspiring sports leagues, teams, venues, their partners, and millions of fans to embrace renewable energy, healthy food, recycling, water efficiency, species preservation, safer chemicals, and other environmentally preferable practices. Alliance members represent over 370 teams, venues and universities from 20 leagues in 14 countries.